New "Gucci Time" Lyric Video! The official lyric video for Gucci Time feat. Swizz Beatz! 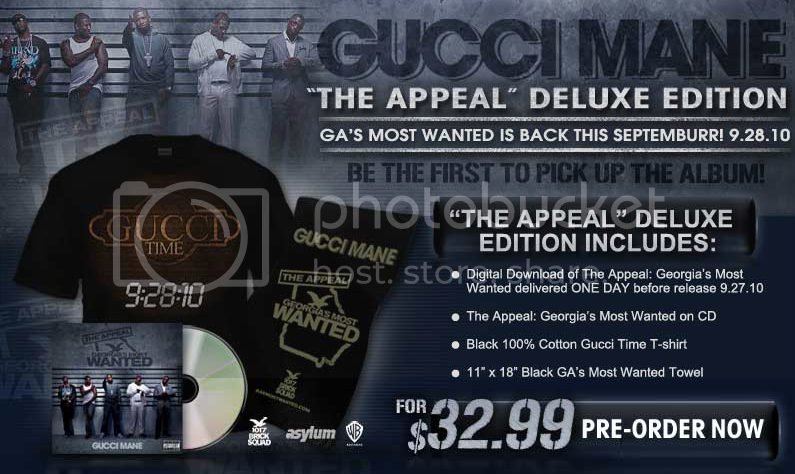 Pre-Order Gucci Mane's new album, "The Appeal", and you'll get a digital download the day before it drops, PLUS the CD, a Gucci Time T-Shirt, and a 11''x18" GA's Most Wanted Towel! The Appeal drops September 28th! What is the hottest track off the Jewelry Selection mixtape? Vote & discuss! What do you think is the hottest track off the Jewelry Selection mixtape? Vote for your favorite & see what songs everyone else is feelin! Listen to the NEW Gucci Mane Mix-tape & Download it Now! 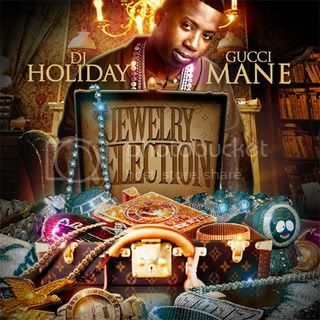 Gucci's Mane brand new Mix-tape, JEWELRY SELECTION, will be available online this coming Monday. Make sure you pick it up! Here's Gucci Mane's new video for "The Movie" off of Gucci Mane's last album The State vs Radric Davis. The video also features Waka Flocka and producer Jazze Phae. Now Premiering - New Single "GUCCI TIME" & Video for "Boy from the Block"! 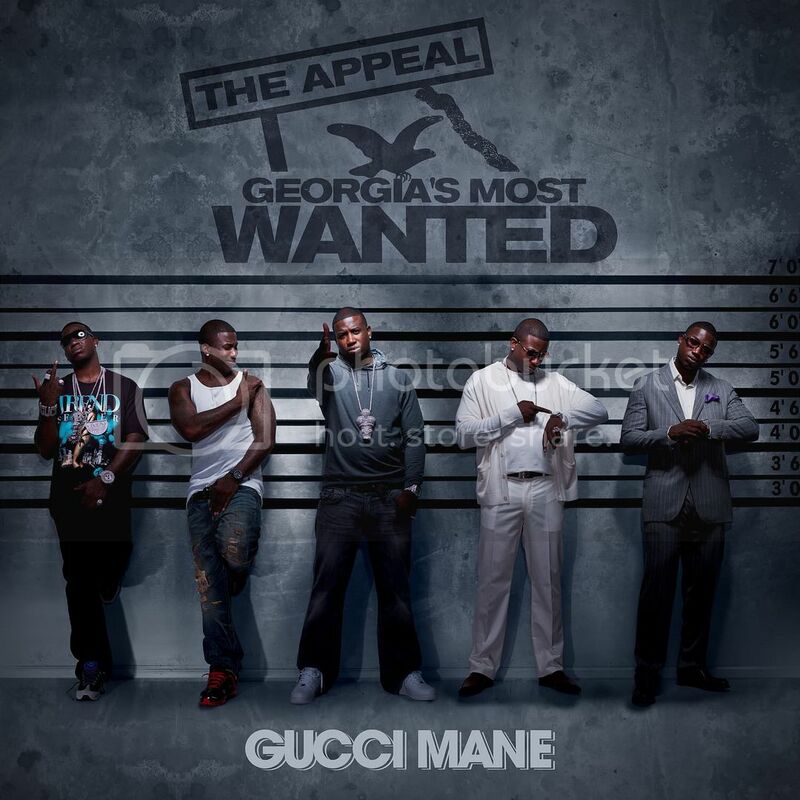 Listen the new Gucci Mane track "GUCCI TIME"
off of the upcoming album "Georgia's Most Wanted: The Appeal"
The song is premiering on Myspace Music now! 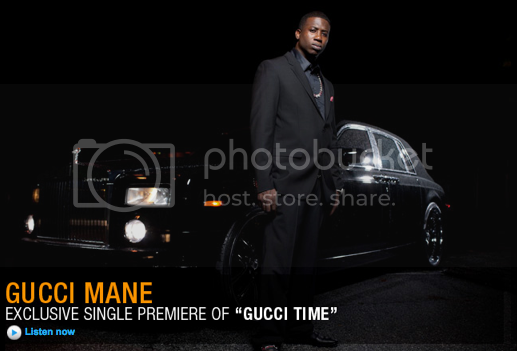 Listen the new Gucci track "GUCCI TIME"
Watch Gucci Mane Perform at the ESPY Awards Afterparty! Gucci Mane performed at this year's official ESPY Awards after-party in front of a crowd full of athletes, celebs, sports agents and award show attendees.